in the upcoming year. Here are some of the AI developments by the biggest names in medical imaging. GE Healthcare featured a new addition to its Revolution line of CT scanners. Revolution Apex is a next-generation intelligent CT Scanner. It used GE’s Edison deep-learning image reconstruction algorithm to create True Fidelity images with high spatial resolution and coverage and spectral capability. It can deliver whole-organ coverage for most patients, including those with high body mass index, elevated heart rates, compromised renal function and other conditions. Apex create high resolution images along with low radiation doses during scanning. Siemens Healthineers highlighted its AI-Rad Companion Chest CT at the show. It’s a software assistant for radiology powered by IT technology and is the company’s first application capable of using AI algorithms to differentiate individual structures on chest CT scans automatically. It can detect lung lesions, determine cardiovascular risk based on CT coronary artery calcification, measure the diameter of the aorta and segment individual spinal vertebrae for bone density and fracture analysis. Best of all, the application can generate a standardized quantitative report of data automatically. 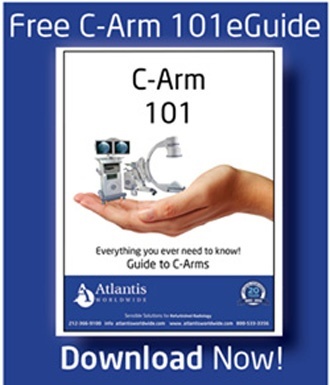 AI-Rad Companion Chest CT performs a systematic and equal examination of all areas of the chest. It can find lesions in regions that the reader may not have made a priority, as well. The product can be incorporated into clinical workflows. All scans and supporting data are automatically available in PACS through Siemen’s cloud-based teamplay infrastructure, as well. Canon Medical Systems introduced its Advanced Intelligent Clear-IQ Engine deep learning-based image reconstruction technique at the conference. It can reconstruct low-quality, low dose CT data into high quality images. When AI is applied to CT reconstruction, it allows about the same level of low radiation dose as conventional CRT scans without compromising final image quality. It’s compatible with the Aquilion One Genesis CT and Aquilion Precision ultrahigh-resolution CT scanners use of low radiation dose. When combined with AiCE, the systems enable high spatial resolution CT scan reconstruction that’s 3-5 times faster than using model-based iterative reconstruction. The IQon Elite spectral CT scanner was in the spotlight for Philips Healthcare. Studies have shown the technology’s capacity to increase hospital workflow efficiency by reducing the occurrence of follow-up scanning, lowering the levels of contrast agent and x-ray radiation dose and accelerating the time to diagnose. Hitachi, Carestream Health and Fujifilm Medical Systems also featured technology that used AI algorithms at the conference. 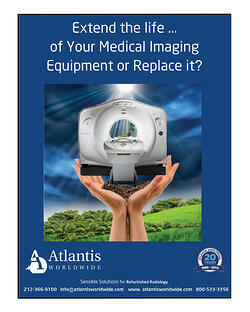 At Atlantis Worldwide, we’re always excited to learn about advancements in medical imaging. Before too long, AI will be the norm in medical imaging. Until then, if you are in need of medical imaging equipment for your practice, hospital, clinic or healthcare facility, be sure to talk to an expert at Atlantis Worldwide. We can often find a used or Certified Preowned system to fit your needs perfectly, as well as your budget. Contact Us Today!